Have you ever opened a book and smelled it? I certainly have...more than once. And I've noticed that not all books smell the same, I guess that's another reason why books remind me of flowers; some smell really nice and others have a fragrance that makes me feel a little ill. I've also found new books and old books have a different kind of smell, but also books of the same age can also have unique smells. I have both new and old books that smelled so horrible I couldn't read them as well as some of each that smelled so good they made me smile! And then of course there are ebooks - they don't have a smell; some see this as an upside, and others as a downside, but whichever way you look at it, it's an interesting thing to consider. Anyway, while I was thinking about the fragrances of books I decided to have a little browse on the internet and see what I could find out. Here are some of the things I discovered. ,Did you know that people make perfumes inspired by the smell of books? 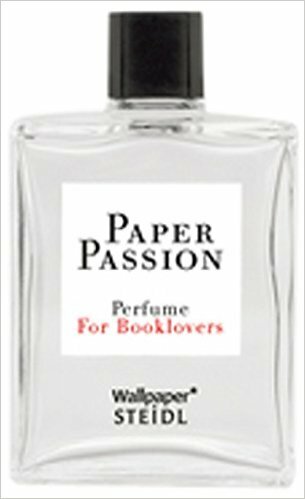 I was amazed by the amount of results that showed up on a quick google search anyway here are two such perfumes I found on Amazon: The paper passion is a perfume, when I checked it was $270 -imagine how many real new books you could buy for that! 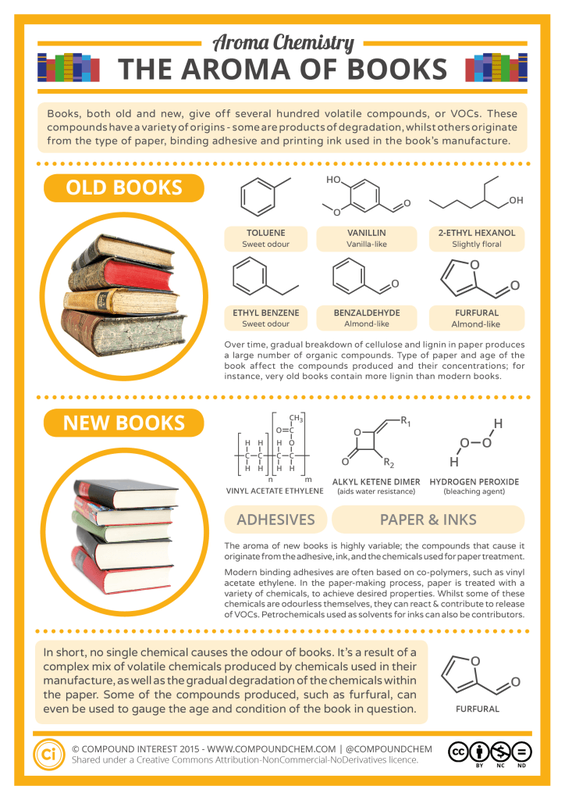 Yes, scientists have studied the aromas of books and what creates them! I'm not going to include links to scientific research papers here but if you're really interested they're not hard to find. P.S. I'm not endorsing the purchase of book fragrances, I've added them purely for illustrative purposes. PSS. If you're interested in the way books smell or if you'd like to discuss book sniffing, or if you have any questions about anything on this site - drop me a line, send me a message, write me a letter, say hello on Facebook, or Twitter, or Pinterest. Check the contact page for links.